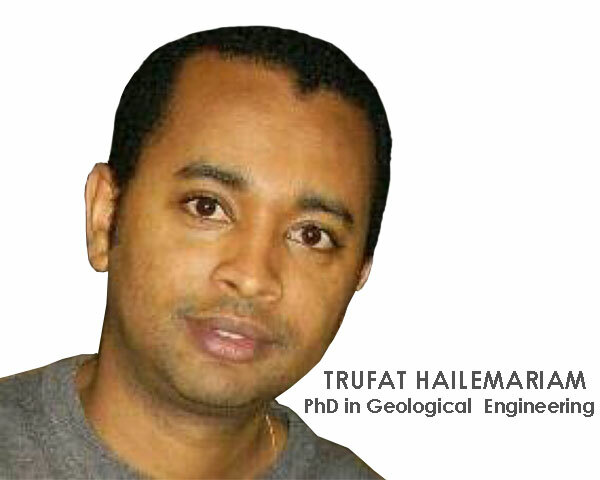 Trufat has about 20 years in exploration geology, geotechnical engineering, natural hazard research and assessment, dam/reservoir engineering, road cut slope design/assessment and organizational administration. He has extensive knowledge in geotechnical site investigations and geohazard assessments; lecturing and researching in universities; slope stability assessments in different projects and designing of remedial measures; topographic, geologic and geotechnics terrain evaluations for different projects; geological‐geotechnical investigations for dam, road and water engineering projects; urban planning and geotechnical consultation for foundations; developing flexible geo‐database for catchment based projects and in geo‐hazard assessment and GIS, CAD, remote‐sensing and rock‐ware software package expertise. He has gained experience working in Ethiopia, Austria and central Asia. Having accumulated such expertise, he is now joined Addis Ababa University as an Assistances Professor and managing staff of EDIT PLC.